Globally, over 300,000 lives are taken by fire every year. 94% of those fires occur in buildings and homes. In most cases, fire-unsafe building materials with a high (and/or toxic) smoke development are to blame. The choice of insulation materials has a significant impact on the fire safety of buildings, yet often placed secondary to energy-efficiency or price. We were convinced comfort, capital, health and safety shouldn’t have to be a major trade-off, and dedicated our research accordingly. Now we’re excited to announce that we received Euroclass B-s1-d0 for ThermaSmart PRO, our most recent insulation innovation. The Euroclasses were introduced following a resolution by the European Commission in 2000, to create a common platform to compare the fire properties of construction materials through harmonized testing methods. Materials are rated from A to F, depending on their non-combustibility, ignitability, flame spread, and calorific value. Class B means that ThermaSmart PRO insulation has little or no contribution to fire as a flame-retardant material. Yet when it comes to building fires, most fire victims don’t actually succumb from the flame itself. In 80% of the cases, the toxic smoke resulting from burning materials is the main cause of death. 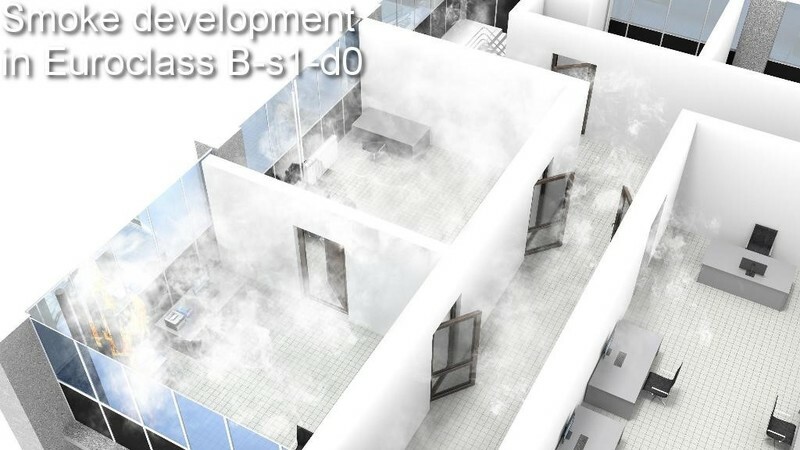 As visibility decreases, occupants experience a loss of orientation, preventing them from finding building exits. On top of that, the increasing concentration of toxic can lead to suffocation and loss of consciousness. At hazard level 1 (s1) for tubes (and sheet just behind it with s2), ThermaSmart PRO conforms to the highest rating in the B class when it comes to smoke development, as it produces minimal smoke when exposed to flame. The IMO test further demonstrates the toxic components of ThermaSmart PRO are far below the minimum allowed standard. This leads to better visibility and less toxic inhalation in potential fire emergencies, ensuring optimal health and safety of occupants. This is also true for the last, yet important aspect of fire safety: burning droplets. 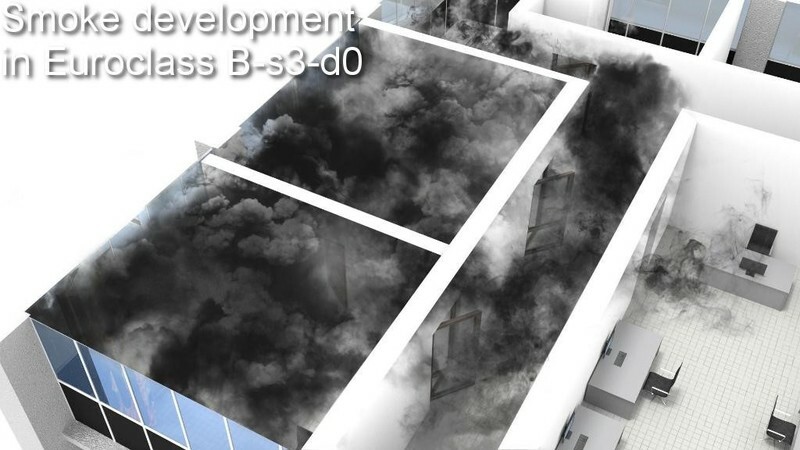 At class d0, both ThermaSmart PRO sheet and tubes emit no burning droplets or particles when burned, minimizing the spread of flames within the building. With these developments, ThermaSmart PRO now tackles all building challenges in regard to health, safety, efficiency, and environment when it comes to energy infrastructure.